Volume analysis is the technique of assessing the health of a trend based on volume activity. Volume is one of the oldest day trading indicators in the market. I would dare to say the volume indicator is the most popular indicator used by market technicians as well. Trading platforms may lack certain indicators; however, I have yet to find a platform that does not include volume. In addition to technicians, fundamental investors also take notice the numbers of shares traded for a given security. 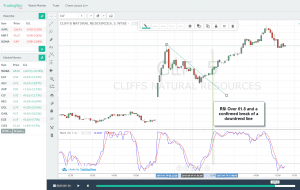 Bottom line, the volume indicator is one of the simplest methods for observing buying and selling activity of a stock at key levels. The tricky part is volume can provide conflicting messages for the same setup. Your ability to assess what volume is telling you in conjunction with price action can be a key factor in your ability to turn a profit in the market. The volume represents all the recorded trades for a security during a specified period. This specified period can range from daily charts to 1-minute charts. 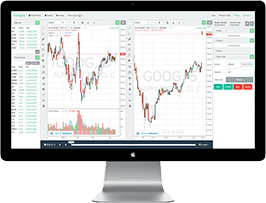 Most trading platforms, Tradingsim included, print each volume bar as either green or red. 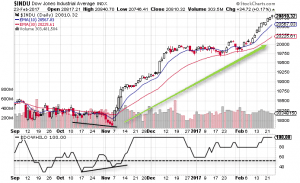 Green bars are printed if the stock closes up for a period and red bars indicate a stock closed lower for a given period. This color coding need not mean there was more down or up volume for the period; it just represents how the stock closed. Volume cuts through all the noise in Level 2, by showing you where traders are actually placing their money. In addition, we will discuss advanced volume analysis techniques and apply these methods to assess the strength of the equities and bitcoin markets. Traders will look for breaks of support and resistance to enter positions. 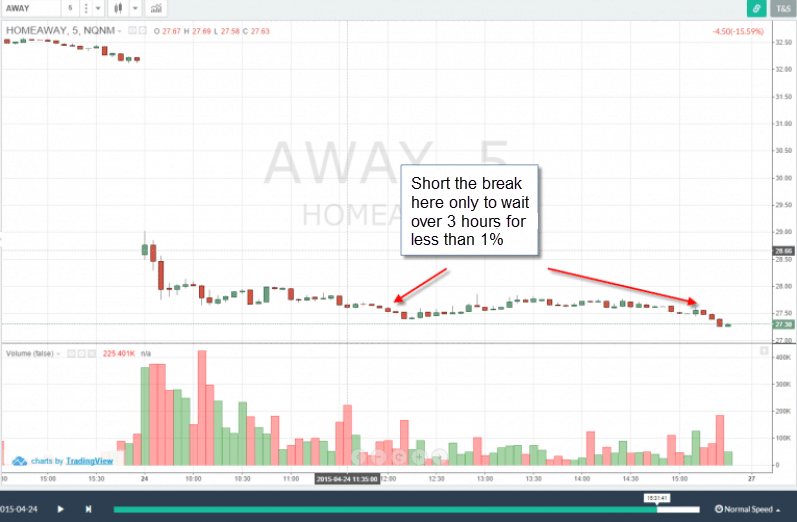 For those fans of the Tradingsim blog, you know that I exclusively trade breakouts in the morning of each session. There are two key components to confirm a breakout: (1) price and (2) volume. When stocks break critical levels without volume, you should consider the breakout suspect and prime for a reversal off the highs/lows. The below chart is of Netflix on a 5-minute time interval. You will notice that Netflix was up ~15% throughout the day after a significant gap up. Can you tell me what happened to Netflix after the breakout of the early 2015 swing high? 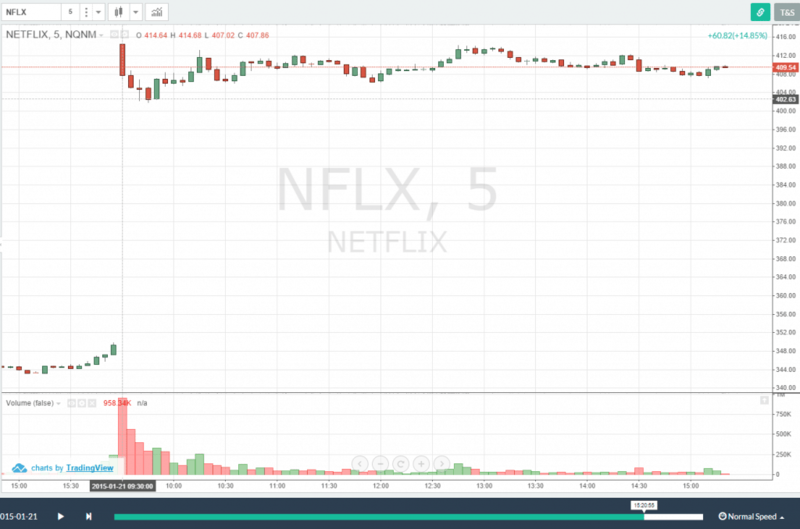 The interesting thing about the Netflix chart is the stock never made a new high after the first 5-minute bar. This is a prime example where a stock may have broken a high from a few weeks ago but is unable to break the high for the current day. As day traders, you want to wait until the high of the day is broken with volume. A key point for you is every swing high does not need to exceed the previous swing high with more volume. I used to obsess over this and if I didn't see more volume I would walk away from the trade. Looking at the chart of Netflix above, do you honestly think the stock will exceed the first 5-minute bar with increased volume? Of course not! While this charting example did not include a break of the daily high, when you look for stocks that are breaking highs, just look for heavy volume. Please don't beat yourself up because the 9:35 bar had 150,000 shares traded and the break of the high at 10:10 am only had 132,000. Now if you see a break of a high with 50% or 70% less volume, this is another story. Again, if we are within the margins, please do not beat yourself up over a few thousand shares. In a perfect world, the volume would expand on the breakout and allow you to eat most of the gains on the impulsive move higher. Below is an example of this scenario. Let's test to see if you are picking up the concepts of breakouts with volume. Take a look at the below chart without scrolling too far and tell me if the stock will continue in the direction of the trend or reverse? The answer to my question - you have no idea if the stock will have a valid breakout. From the chart, you could see that the stock had nice down volume and only one green candle before the breakdown took place. This is where experience and money management comes into play because you have to take a chance on the trade. You would have known you were in a winner once you saw the volume pick up on the breakdown as illustrated in the chart and the price action began to break down with ease. For those that follow the blog, you know that I like to enter the position on a new daily high with increased volume. You will need to place your stops slightly below the high to ensure you are not caught in a trap. 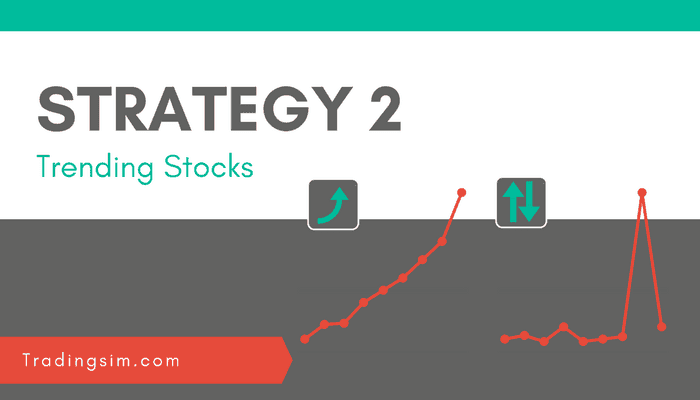 This strategy works for both long and short positions. The key again is looking for the expansion in volume prior to entering the trade. The stock has volatile price action with most of the candle color mirroring the direction of the primary trend (i.e. red candles for a breakdown and green candles for a breakout). When a stock is moving higher in a stair-step approach, you will want to see volume increase on each successive high and decrease on each pullback. The underlying message is there is more positive volume as the stock is moving higher, thus confirming the health of the trend. This sort of confirmation in the volume activity is usually a result of a stock in an impulsive phase of a trend. The volume increase in the direction of the primary trend is something you will generally see as stocks progress throughout the day. You will see the strong move into the 10 am time frame, a consolidation period and then acceleration from noon until the close. For this strategy, you will want to wait for the trade to develop in the morning and look to take a position after 11 am. For those that follow the blog, you know that I do not trade in the afternoon; however, this doesn't mean you can't figure it out. As the stock moves in your favor, you should continuously monitor the volume activity to see if the move is in jeopardy of reversing. The speed of this setup is much slower versus the other strategies discussed in this article; however, the difficulty reveals itself in the increased number of false moves, which are commonplace in the afternoon. Think I'm kidding about false breakouts, let me show you a couple. These charts are just a sample of what happens far too often when it comes to afternoon trading. So, how do you find the stocks that will trend all day? After many years of trading, I can tell you I honestly don't know. Volume spikes are often the result of news-driven events. It occurs when there is an increase of 500% or more in volume over the recent volume average. This volume spike will often lead to sharp reversals since the moves are unsustainable due to the imbalance of supply and demand. Trading counter to volume spikes can be profitable, but it requires enormous skill and mastery of volume analysis. These volume spikes can also be an opportunity for you as a trader to take a counter move position. You need to know what you are doing if you are going to trade volume spikes. The action is swift and you have to keep your stops tight, but if you time it right, you can capture some nice gains. 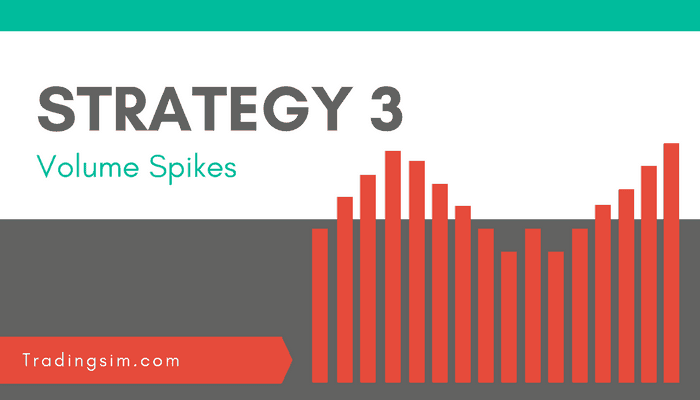 Let's walk through a few volume spike examples, which resulted in a reversal off the spike high or low. In the below example we will cover the stock Zulily. The stock had a significant gap up from $13.20 to almost $16. Notice how the stock never made a new high even though the volume and price action was present. This is a key sign that the bears are in control. The other setup with volume spikes are candlesticks with extremely long wicks. In this scenario, stocks will often retest the low or high of the spike. You can take a position in the direction of the primary trend after the stock has had a nice retreat from the initial volume and price spike. Below is an example from a 5-minute chart of the stock Depomed, ticker DEPO. You will notice how the stock had a significant gap down and then recovered nicely. Once the recovery began to flatline and the volume dried up, you will want to establish a short position. Let's take another look at a long wick setup. The below chart is of Frontier Communications, ticker FTR with a long wick down. The stock then recovered and flattened out, which was an excellent time to enter a short position. 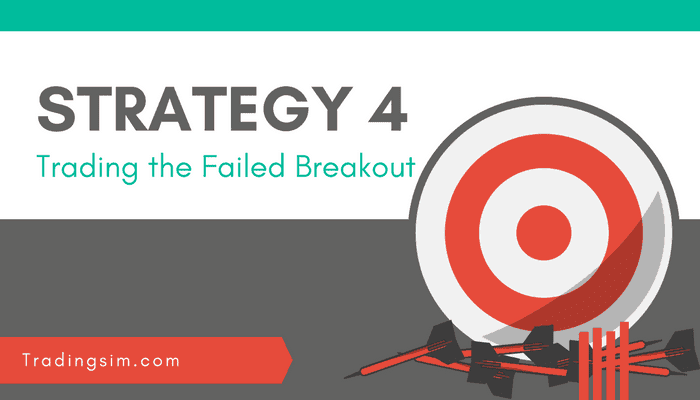 I would be remiss if I didn't touch on the topic of failed breakouts. As a day trader that specializes in early morning breakouts, I have my fair share of trades that just don't work out. So, how do you know when a trade is failing? Simple answer - you can see the warning signs in the volume. Let's dig into the charts a bit. Above is the chart of Amazon and you can see the stock attempted to break out in the first hour of trading. Notice how the volume on the breakout attempt was less than stellar. You shouldn't be surprised when the stock begins to float sideways with no real purpose. While this would have been a bad trade, because your money is idle, it's still much better than what I'm getting ready to show you next. The above example of ESPR would drive me crazy 6 years ago. Notice how the volume dries up as the stock attempts to make a lower low on the day. The key is to get out if the price action begins to chop sideways for many candles. When you sit in a stock hoping things will go your way, you are better off making a donation to charity. At least the money will go to a worthy cause. 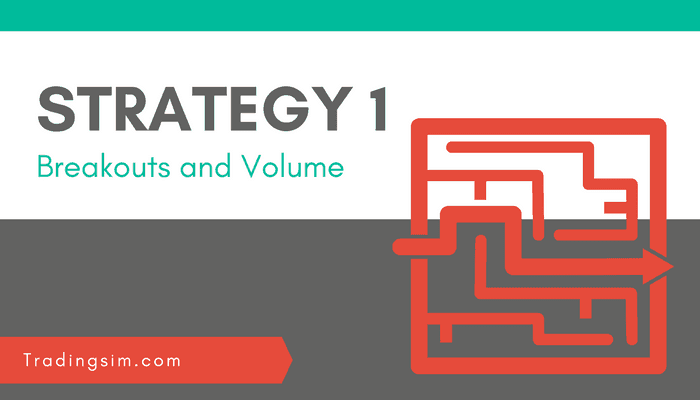 So far in this article, we have covered how to apply volume analysis to identify trading opportunities day trading. Volume can be and is so much more. 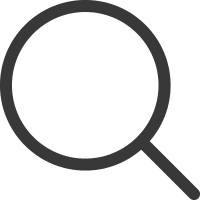 To demonstrate the ability to analyze long-term trends, we will use volume to unpack the roaring cryptocurrency market. Take a look at the infographic below where we have done some extensive research on volume trends across Bitcoin the last 4 years. The real story in the infographic, which may not have jumped out is Japan makes up 57% of all the trading volume for Bitcoin, while only accounting for 1.7% of the global population. Now, I get wealth is largely concentrated in the G8 countries, but this sort of multiple is a bit ridiculous. Early indications show that Japanese retail investors, mostly in their 30s and 40s are using leveraged accounts to trade cryptocurrencies. This surge of cash inflows into the cryptocurrency market has resulted in the bitcoin blowing out record after record. While there is significant speculative trading going on to drive up the price, we cannot ignore the enormous value bitcoin will have in a global economy. As the world continues to get smaller, who wants to concern themselves with exchange rates and government fees. Shifting our focus back on the charts. Let's take a look at the trading performance of the two newly released Blockchain ETFs. The tickers for these ETFs are BLOK and BLCN. You are likely thinking you are buying into the actual cryptocurrency market - not quite. In case you missed the video in the above infographic, the SEC has not approved ETFs that invest directly in the cryptocurrency market. Sounds a bit confusing right seeing how one of the ETF's name is BLOK. The two ETFs have stocks that are directly connected to the crypto industry. In both ETFs, you will find familiar names like Overstock, IBM, Square, and Nvidia. Enough rambling about the makeup, let's take it to church - the charts. From the looks of things, there is little value in buying both ETFs for diversification as they are mirror images of one another. These similarities are still relevant in the realm of volume. 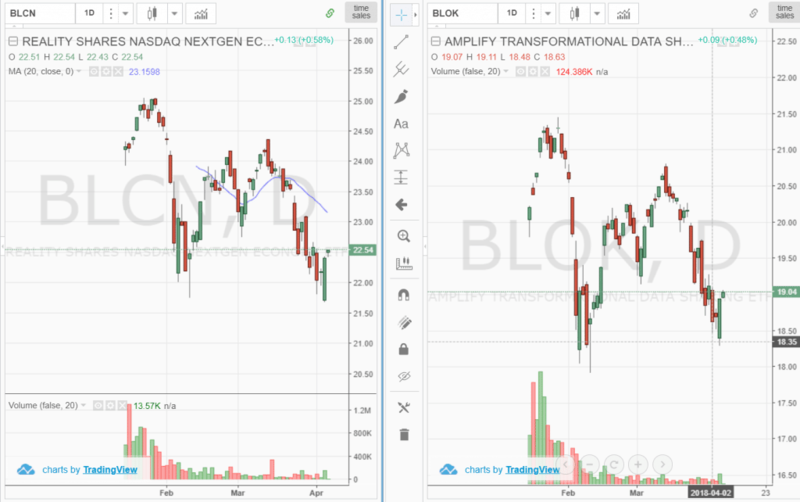 Notice how both BLOK and BLCN have enormous volume on the first few days of the ETFs going live, only for the volume to drop off. I do think these ETFs are a good way for someone to get involved in the world of crypto, without taking on all the risks. Now, with that said, if you are looking to take a long shot over the next 5 to 10 years, these ETFs are not going to give you the desired home run affect you are looking for. But from the look of the volume on the chart, it appears to me the ETFs will retest the all-time highs because there were so many trades placed at these levels. Shifting gears back into volume analysis with stocks, the next bonus technique I would like to cover is using a volume overlay with the price. The overlay is slightly different from printing volume on the x-axis by allowing you to see where the concentration of orders took place. This can provide you with a clear view into where there are many traders and you can then use this to validate a particular support or resistance level. The simple way of determining where to focus your attention is on the longest volume bar. Do you see how this view lets you know where all the trades were made for a given security? This layer of information is invisible with volume underneath the chart. One slight twist I want you to try out is to combine these key volume levels with Fibonacci. 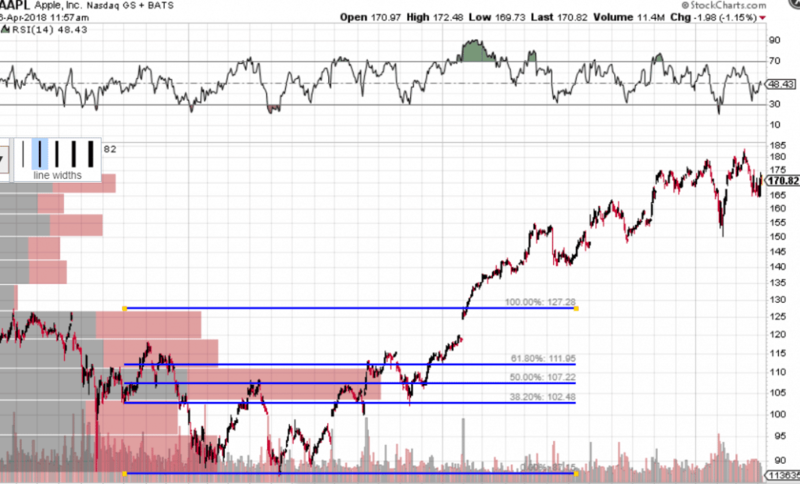 Notice in the above chart of Apple that there was significant resistance at the $110 - $115 level. A part of the setup which may not have been apparent is $115 was not only a significant volume resistance level but also the 61.8% retracement level. Once Apple did clear both of these hurdles, the stock shot off to the moon. The point is you do not only want to use volume and price action. It is also great to add another validation technique like Fibonacci to the chart to gain clues of where the price is likely to break. Every time I look at the chart of the Dow, it takes my breath away. These folks are not natural price movements for the index in historical terms. On the slow run-up, there are many price swings, some of which might have thrown you for a loop in the last 2-years. Meaning, it would have taken serious self-control to stay in the trade. However, once you overlay the volume you will see there are three key levels: (1) 18,500, 21,000 and 25,500. The 18,500 level has the most volume over the last 5 years. The index formed a nice double bottom over an 18-month period leading up to the break of 18.500. For all my Wyckoff traders, the back and forth at the 18,500 level created a ton of cause, which ultimately fueled the rally. The next level is 21,000. Notice how the volume at the 21,000 level is high, but in relative terms over the last 5 years, the volume is light. This is because the run-up to the high over 26,000 was done on light volume. Once 21,000 was broken, the Dow then ran up to over 26,000. The Dow is now bouncing around the 25,500 to 23,500 level. In relative terms, the 25,500 level is now the high-level volume zone which will act as resistance. What do you think will happen if the Dow breaks down here? We are probably headed towards the next volume support level down at 21,000. Next, if 21,000 does not hold we are headed back down to 18,000. Are you now able to see how volume on top of price allows you to cut through all the head fakes to see the same levels the smart money cares about? Volume alone cannot provide you buy and sell signals. Volume can, however, provide you with further insights into the internal health of a trend. Remember, you can look at the volume on the x-axis (time) and on the y-axis (price) to identify potential changes in trend and support/resistance levels. In addition, check out this post on volume from the Liberated Stock Trader. I like how he highlighted in the article the concepts of PUVU, PUVD, PDVU, and PDVD. Interested in what these terms mean, you should visit his site. 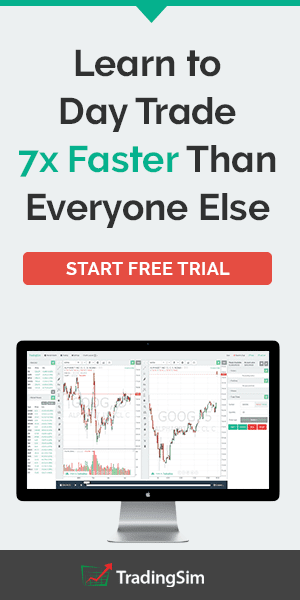 Tradingsim accelerates the steep learning curve of becoming a consistently profitable trader by allowing you to replay the market as if you were trading live today or any day from the last 2 years – it’s really a trading time machine. 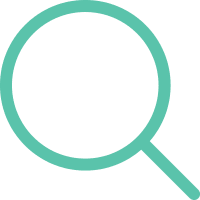 To see how Tradingsim can help improve your bottom-line, please visit our homepage. HI, I don’t know how to identify a stocks that will trend all day prior to 10 am, but I would ask do you have any strategy to identify a stock that will trend all day prior to 12 am? Haven’t come across anything solid. I use to labor over this, but have determined that it’s better to focus on following your trading plan versus trying to predict the big winners. The market is a living and breathing thing and there is truly no way to know which stocks will run the hardest on a given day.